Visit our Online Health Shop below! We offer a great range of excellent products. You will find a fantastic range of high quality and effective health products including dietary supplements, healing creams, colloidal silver, colloidal gold and copper and aloe vera products. 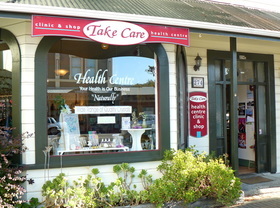 In addition we have a lot of herbal tinctures, Bach Flower and the Australian Bush Flower Essences, as well as Flower Essences from New Zealand, a wide range of aroma oils, massage oils, ear candles, tongue scrapers, not to mention all kinds of natural body care products and last not least Super Foods. 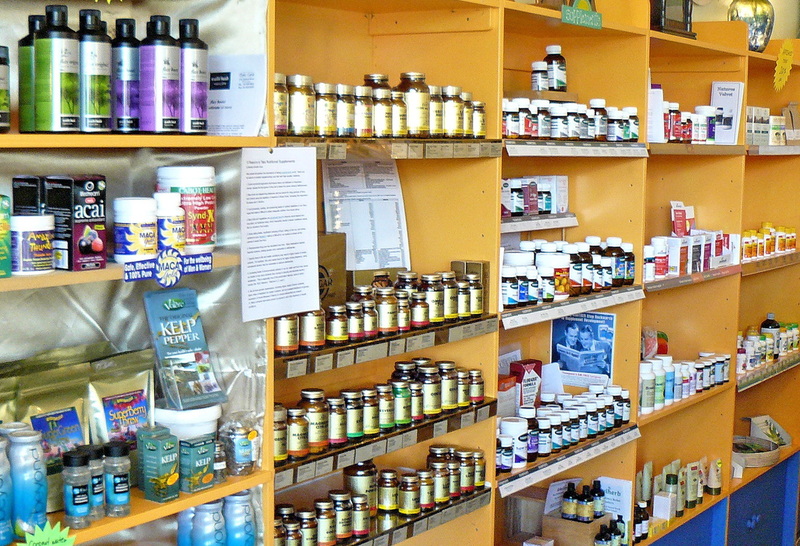 The shelves are filled with products from Solgar, Health & Herbs, BioTrace, Weleda, Naturo Pharm, Life Stream, NaturesSource, Nature's Way, Malcolm Harker, Tui, Artemis and many more. 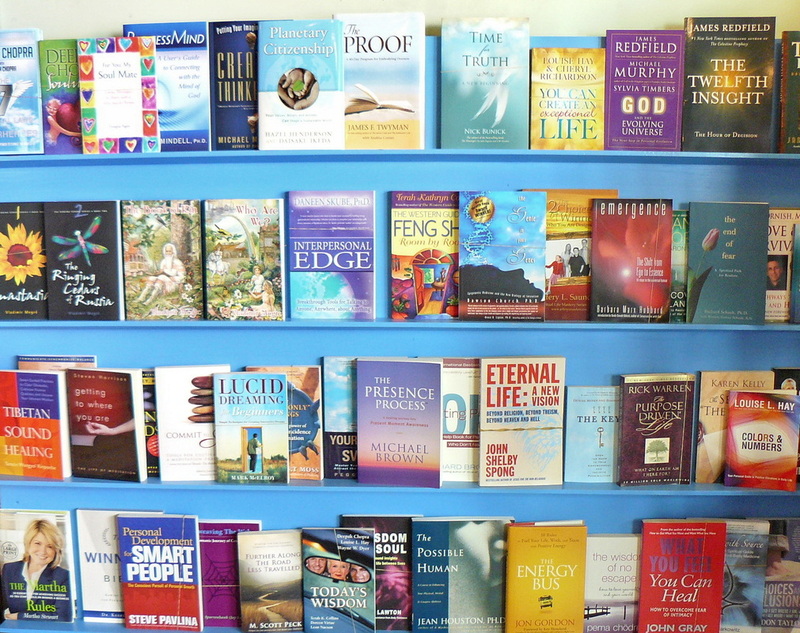 We also sell books (second hand books as well), CD's, DVDs, magazines (about health and consciousness) and beautiful, high quality healing crystals - we just got new ones. NEW in our shop: Magnesium Oil, Hempseed Oil and the best quality of Coconut Oil. As Superfoods we have Chia Seeds, Goji Berries, Acai Berries, Maca Powder and more .... and some organic Spices. If there is something you are interested in please Contact Us. ​The Nu-Me protective pendant is unlike any other protective pendant on the market. It creates a harmonizing energy field around your body, balances your personal energy system and protects you at the same time from disturbing energies, including EMF. It is very effective against stress, sleeplessness and allows you to feel calm at all times. And in plus it balances your energies, your chakras, clears your aura, and supports your immune system. It is a great helper in any healing process! ​New technology makes the Nu-Me Skinny revolutionary! Not only is it lighter, slimmer and smaller it is more powerful. With two new breath-taking designs both of which are reversible they really do take the same-old out of EMF protection and energy balancing. In fact we say without fear of contradiction that protective pendants have never been as exciting to wear as the Nu-Me Skinny. The Nu-Me skinny is as powerful as the Regular size classic Nu-Me pendant with a protective field of 6.5 meters. That’s an awful lot of protection! Scalar waves in the solfeggio healing frequencies make them much more than just a standard EMF protective pendant. Scalar waves work on your own energy system so will keep you calm in any situation, help eliminate stress, boost your energy levels, aid your immune system and ensure that you are protected 24/7. And this is the back side of the Nu-Me Skinny. The Nu-Me Shell Protective Pendant is the most stunning, exquisitely,hand-made piece of jewelery you will ever see or own. It has the same effect as all the other protective pendants. The Nano Healing Wand is a natural energy generating device. 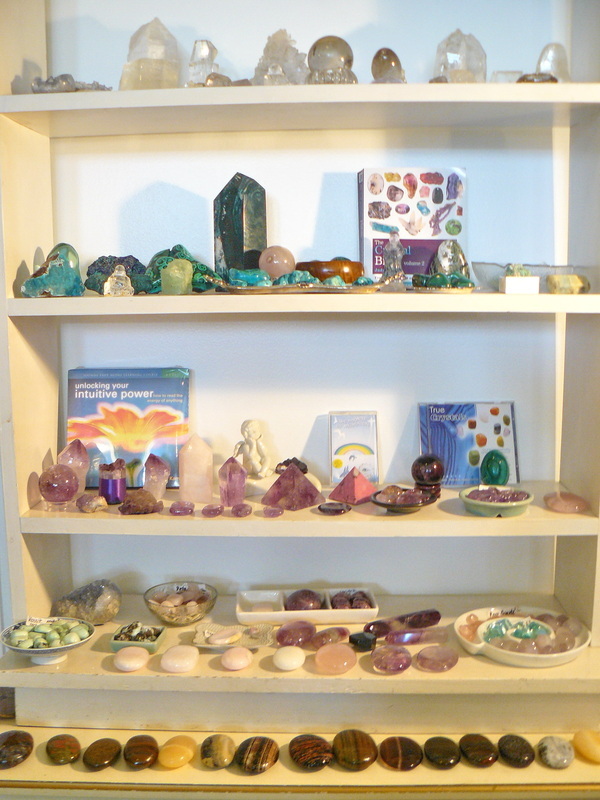 The special combination of granulated crystals and minerals (Tourmaline, maifanshi Stone, far infra-red stone, calcium ion, pi stone and nano silver powder) which have been processed using nanonized Fusion Technology, are resonating with Zero Point Energy, which is the energy from which everything is made - including us. The p.e.bal is the most powerfully proven solution for space clearing / energetic harmonization. It is an extremely effective EMF (ElectroMagnetic Fields) or EMR (ElectroMagnetic Radiation) and geopathic stress protector. Quantum physics proves that we are ordered energetic systems so anything that throws our energy systems into chaos causes us pain, suffering and dis-ease. The Negater Shell uses no batteries or wiring - the scientific technology within it does all the work unaided. A one off investment that won't break the bank and requires no maintenance! Ki-Bal-Pyramid Energy Balancer - Can any protection device be smarter? This protective device is designed as a key ring. and other unbalanced energies WHERE EVER you have your keys. It has a protective field of 12 meters diameter! A GREAT SOLUTION for people who do not want to wear a pendant. Helpful and safe for children as well. 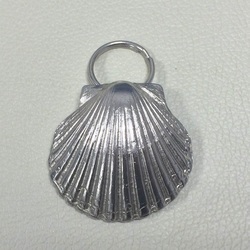 This is another key ring in form of a shell. PROTECTION, PROTECTION, PROTECTION! Powerful, versatile, reliable. ​The Zen stones pack is a powerful punch against electromagnetic pollution and all unbalanced energy. Three different size stones that you can use individually or stack Zen style for maximum protection in your home or workplace.Each stone modelled on real stones, cast in pewter with our unique, tried and extensively tested technology has the added power of embedded scalar waves in the solfeggio frequencies. The words engraved on each stone make them a great gift, with a message, to give. They come in a velvet pouch. The most powerful space balancing/protector we have with a massive 21meter (23 yard) harmonising field. More than enough for a whole house or work place. Also an ideal gift that comes in a velvet pouch. Its 17meter (18 yard) protective field is ideal for EMF protection, insomnia, night terrors and meditation. Also an ideal gift, which comes in a velvet pouch. Complete personal energy balancing and EMF protection within its large 14 meters (15 yard) protective field. ​Small enough to carry everywhere. An ideal gift that comes in a velvet pouch.
" Unprotected cell phones lead to unwanted cancers – proven*. It’s as simple as that. " is protected at the same time from the radiation. Is your mobile phone in the second pocket you are fully protected but you don't get any calls. You can as well protect your credit card information in it. This necklace is hand-crafted in New Zealand, using crystals and Sterling Silver. 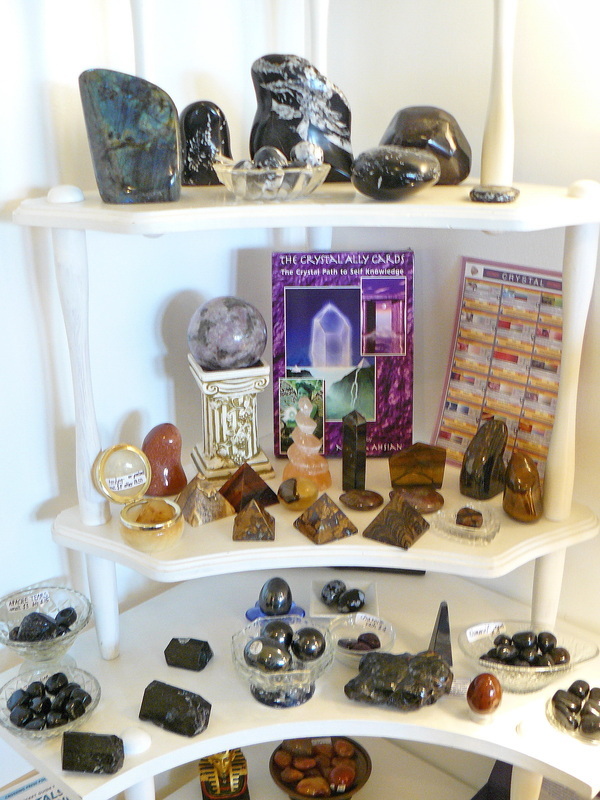 It has been put together using a special crystal combination to increase fertility. An oil of highest quality to rapidly raise your magneium levels safely and effectively. For externally and internally use. adding it to your bath or drinking water, brushing your teeth. and is has a wonderful nutty taste. and vitamins, including E , D and carotene. - maintaining healthy organs and general health. Solgar Formula V2000 One of the best multivatimins on the market! Zeolite is a breakthrough supplement that works at the cellular level by trapping heavy metals and toxins and safely removing them from the body. Zeolite is also very effective in removing radiation, as shown in the cleanup after the Chernobyl nuclear accident. The people showed a 30% reduction in radioactive isotopes after the very first application of Zeolite! Continued use shows increased benefits. None of the information or products on this site are a substitute for medical advice or treatment. If you are sick, please consult your chosen qualified health-care practitioner.